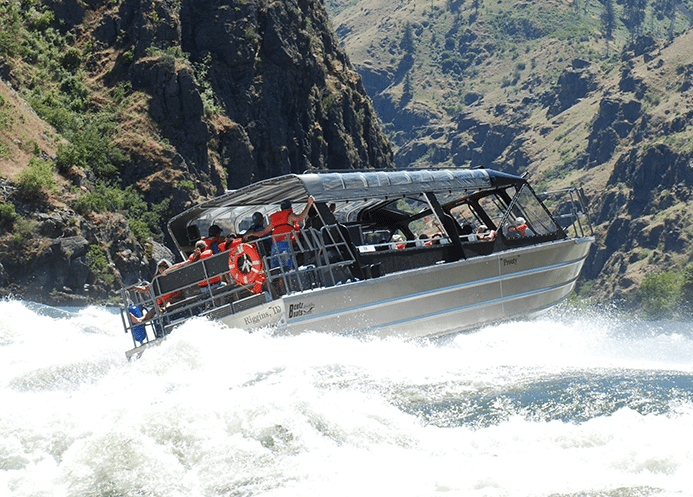 Take a Hells Canyon Jet Boat Tour You’ll Never Forget! World-Class Fishing Like Nowhere In The World! Explore the Famous River of No Return Wilderness! 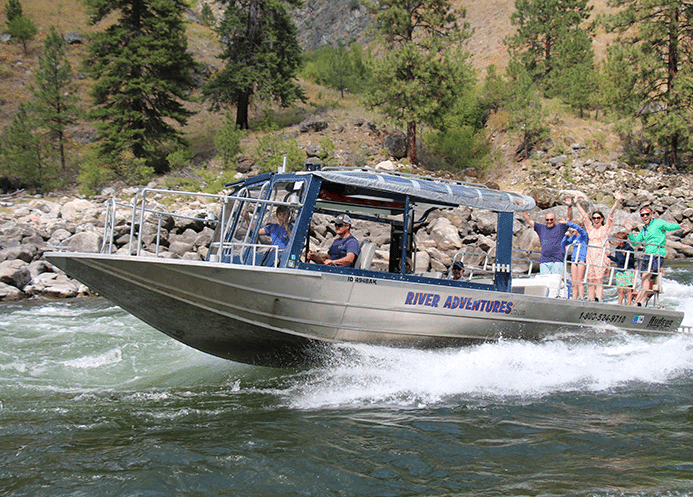 River Adventures will take you on a Hells Canyon jet boat tour through the deepest and most rugged points of the canyon. Your unforgettable journey will provide you with breath-taking beauty, amazing wildlife, and a Hells Canyon boat tour filled with excitement. Our USCG Certified jet boats will take you through the most Challenging Whitewater into the Deepest Canyon that North America has to offer. Enjoy amazing historic and scenic sites along the way. You will even have some rest and relaxation time for swimming, snacking, or hiking. Bring your friends, bring your family, bring your co-workers and share in the majesty and mystery of the Snake River through Hells Canyon and the Salmon River from a point-of-view like no other. 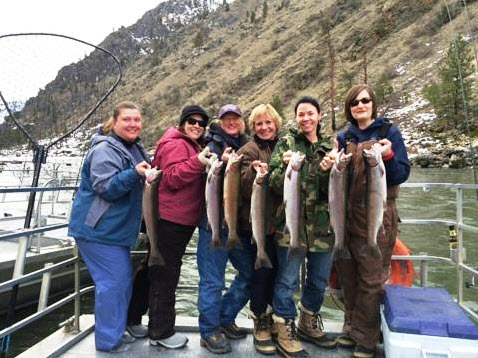 Book your next Hells Canyon boat tour or fishing adventure with River Adventures. 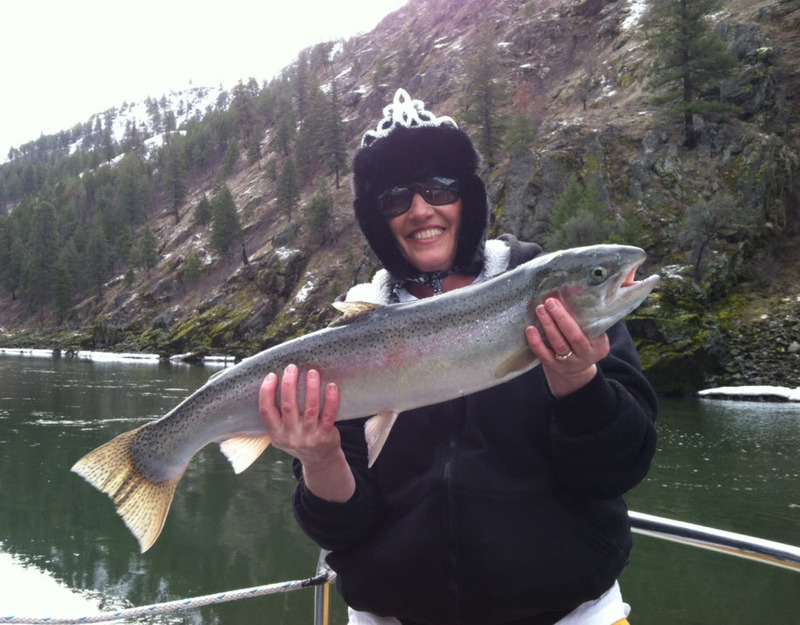 Experience the Adventure of a Lifetime on a Hells Canyon jet boat tour. Deepest Canyon in North America! As the deepest canyon in the North America, Hells Canyon earns its name. This harsh country is best seen from our safe, comfortable jet boats. Your guide knows the holes, and a variety of fish makes for great fishing and an exciting river adventure. 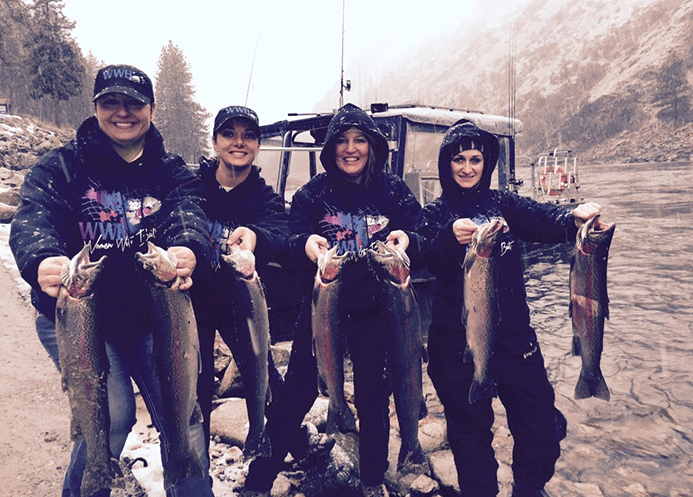 It’s our annual women’s steelhead fishing tournament. We supply the gear, tackle, bait, a “goody bag” and a “bait boy!” You supply the lunch, drinks. Explore the deepest gorge in North America on our Hells Canyon Jet Boat. You’ll experience breathtaking views, rushing rapids, and unforgettable experiences on a Hells Canyon Adventure with your friends and family. 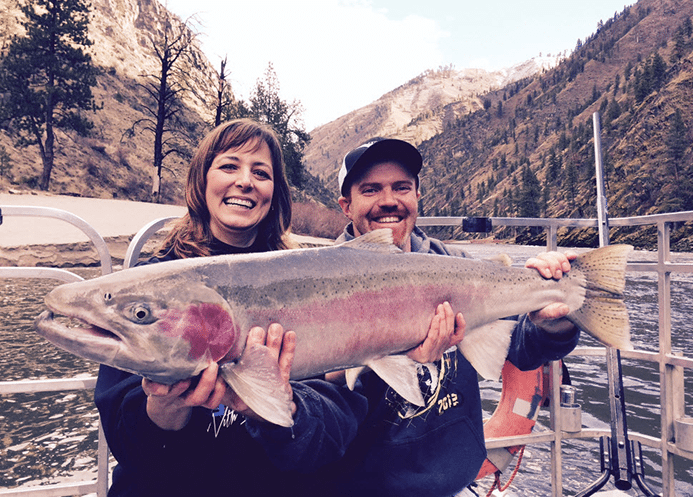 Experience the best steelhead, salmon, and sturgeon fishing on the Salmon River “River of No Return,” and the Snake River in “Hells Canyon.” Our guides will take you on an amazing River Adventure you’ll never forget! It will be the trip of a lifetime, including your own big fish story!